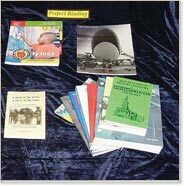 A cost effective, attractive way to adhesive bind books. Allows printed spine to be viewed on shelves. 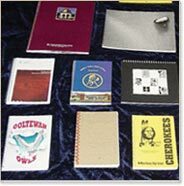 Ideal for soft cover books. Our Horizon BQ270 gives you the quality you require with the turnaround you demand. From a 1/16″ thick book to a 2″ thick book. Ideal for books with critical crossovers. Maps & artwork are ideal candidates. Books open without the pages shifting up or down. 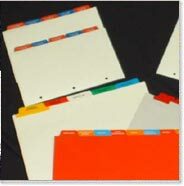 Sizes from 1/4″ to 1 1/4″ thick and up to 14″ in length. Ideal when books open 360 degrees or if the book will be used while held in one hand. Many eye appealing colors available. Sizes from 6 mm thick and up to 38 mm in length. With our 6 head and single head Barudan embroidery machines we can handle all your personalized apparel needs. Suitable for single sided, double sided, or decal style applications. Superior clarity and lower activation temperature. We will print or convert your printed sheets. Die cut tabs, drill, collate, shrink wrap and box. Permanent or temporary edge ‘Peel & Stick’ applications are available. 1/2″ Gripper is needed, (allow 1″ to the first knife on grip side). Gripper and Side Guide MUST be marked. Inks MUST be completely dry to prevent offsetting. Allow 3/16″ Min. color bleed beyond die cut areas to assure registration. Block out all inks and coatings from all areas to be glued. Collate, stitch, fold and face trim. Saddlestitch from CD size 4 3/4″ x 7″ to 13″ x 19 1/2″ max flat sheet size. (No sigs.) Corner, side or top stitching from 5″ x 7″ to 13″ x 16 3/4. 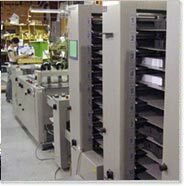 Collating from 5 1/2″ x 8 1/2″ to 13″ x 19 1/2″ flat sheet. Stocks from 11 lb. up to 12 pt cover (heavier depending on grain of stock) Coated stocks no problem. Minimum signature size 6″ x 8 3/8″. Maximum signature 13″ x 19 1/2″.